FRIDAY, Nov. 9, 2018 -- Women confused by the conflicting advice surrounding the benefits and timing of mammograms will be interested in a new study out of Sweden. The research, involving more than 50,000 breast cancer patients, found that those who took part in a breast cancer screening program had a 60 percent lower risk of dying from the disease in the 10 years after diagnosis, and a 47 percent lower risk 20 years after diagnosis. 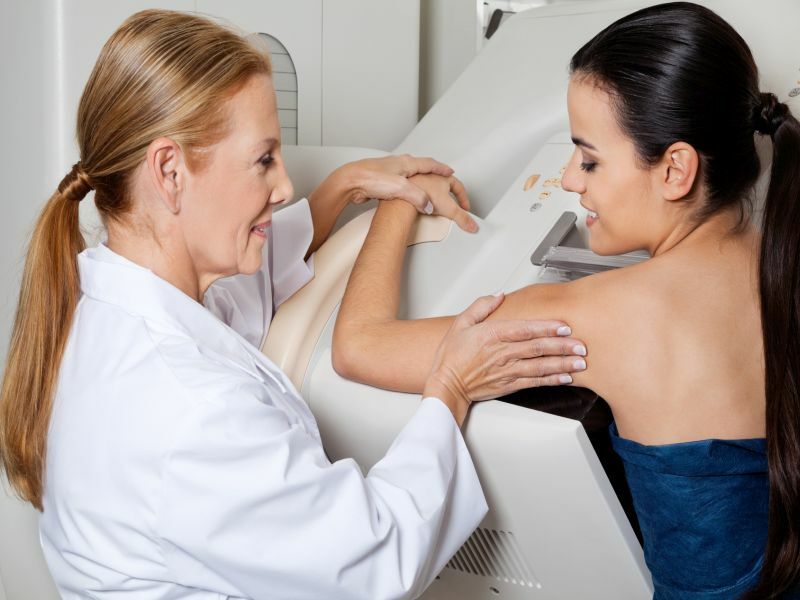 "This is really what we've been waiting for because there has been so much hoopla about mammography not reducing the death rate from breast cancer," said Dr. Lauren Cassell, chief of breast surgery at Lenox Hill Hospital in New York City. She was not involved with the study. Many people have said it's better treatment, and not screening, that has improved survival, Cassell explained. "But when you do pick up cancers earlier, patients do better," she said. "We've had a gut feeling that early detection makes a difference, and now we can prove it." Study co-author Robert Smith, vice president for cancer screening at the American Cancer Society, said, "The advantage of screening is that it offers a woman, if she develops breast cancer, the opportunity to treat that cancer early when the treatment can be less aggressive and when she has more treatment choices." Finding cancer in an early stage may also avoid aggressive treatments that can diminish quality of life, he added. "Mammography today, in the setting of modern therapy, confers a substantial benefit to women who attend regular screening," Smith said. "The mortality reductions we observe are principally due to mammography detecting the most aggressive cancers early." While the findings may seem obvious, the effect of mammograms on survival is something that's been debated in recent years. The American Cancer Society recommends annual breast cancer screening for women aged 45 to 54, while the U.S. Preventive Services Task Force recommends mammograms every other year for women aged 50 to 74. The task force says the evidence for earlier screening isn't convincing, but women should make that decision on an individual basis. Part of the discrepancy is caused by how the evidence is gathered, Smith explained. Much of the data that has gone into making recommendations came from older studies that weren't able to clearly break out the benefit of early screening on survival, he said. Early screening finds cancers that wouldn't show symptoms for years, Smith said. Also, survival from breast cancer can get confused with improvements in treatment, making it hard to tease out the benefit of screening, he added. For the new study, researchers were able to take advantage of highly detailed Swedish data that spanned 52 years. This enabled the researchers to look at data from the late 1950s to the early 1970s, when widespread screening didn't exist, and 39 years later, when widespread screening was available. What's more, the data for the new study were "individualized" -- so researchers could look at the outcome of every woman in the registry who had breast cancer and whether she was screened or not. This enabled Smith's team to pinpoint the effect of screening on survival. The researchers also were able to quantify the benefit of screening by looking at deaths after diagnosis. "The latest study adds to the large body of literature that demonstrates early detection of breast cancer through screening programs saves the most lives," said Dr. Nicole Saphier, director of breast imaging at Memorial Sloan Kettering Cancer Center, Monmouth Regional, in Middletown, N.J. Breast cancers in women aged 40 to 49 tend to grow faster than breast cancers in older women, she said. "This means mammography and early detection are essential in these women, when the chances of survival are highest," she added. For the study, Smith and his colleagues collected data on more than 52,400 women aged 40 to 69 in Dalarna, Sweden. All were diagnosed with breast cancer between 1977 and 2015. All the patients received the latest treatment for their stage of cancer, regardless of how it was found. Dr. Jay Baker is president of the Society of Breast Imaging. In a society news release, he said that, "The conclusion of this study could not be more clear -- modern treatments are important but not solely sufficient. Women who get regular screening mammograms cut their risk of dying of breast cancer by about half." The findings were published online Nov. 8 in the journal Cancer. To learn more about breast cancer screening, visit the American Cancer Society.